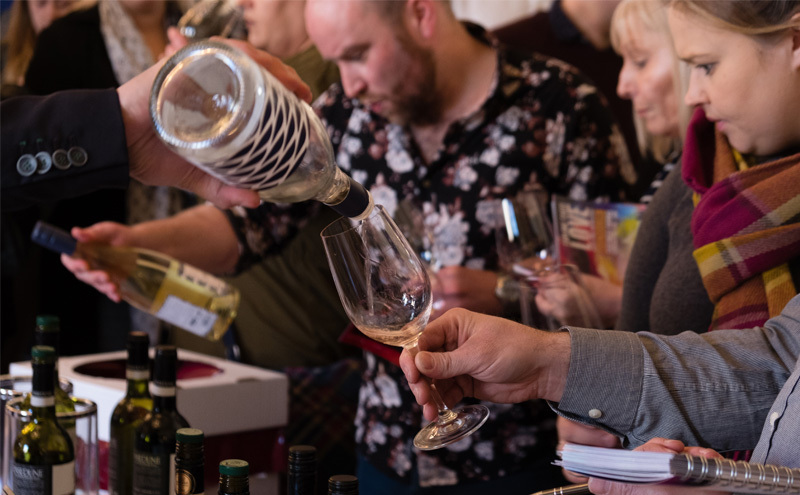 A RIOJA from Bodegas Campillo, a Marlborough Sauvignon Blanc rosé from First Dawn in New Zealand, and the ‘environmentally-conscious’ Sea Change wines were among the new wines unveiled by Inverarity Morton at its annual portfolio tasting in Edinburgh last month. More than 600 people from across the Scottish trade attended the event at the Assembly Rooms, where they got the opportunity to sample over 500 wines from 60 producers, several of which are new to Scotland, including Spanish producer Granbazan from Rias Biaxas, French producer Domaine Le Tasque from Languedoc and Italian company Vigna Dogarina from Veneto. Inverarity Morton’s event also included a number of masterclasses and food pairing sessions, including sushi and wine matching and doughnuts and dessert wines.